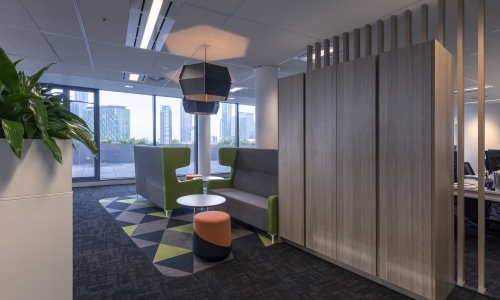 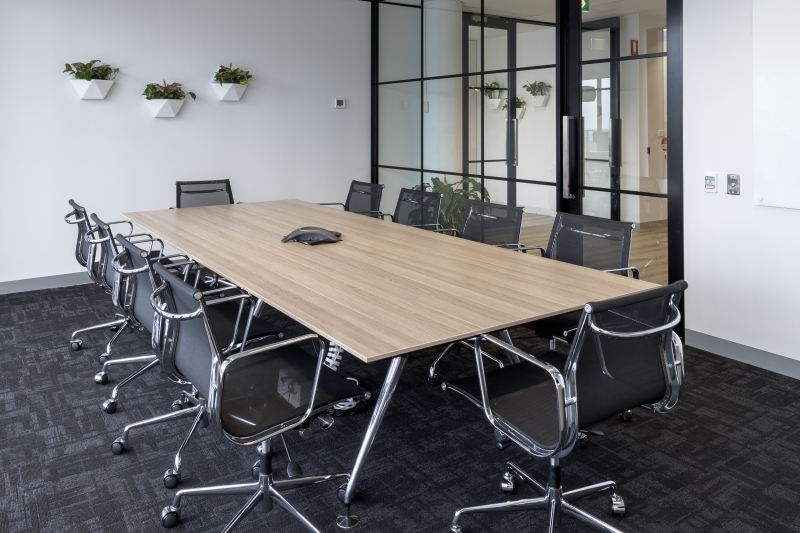 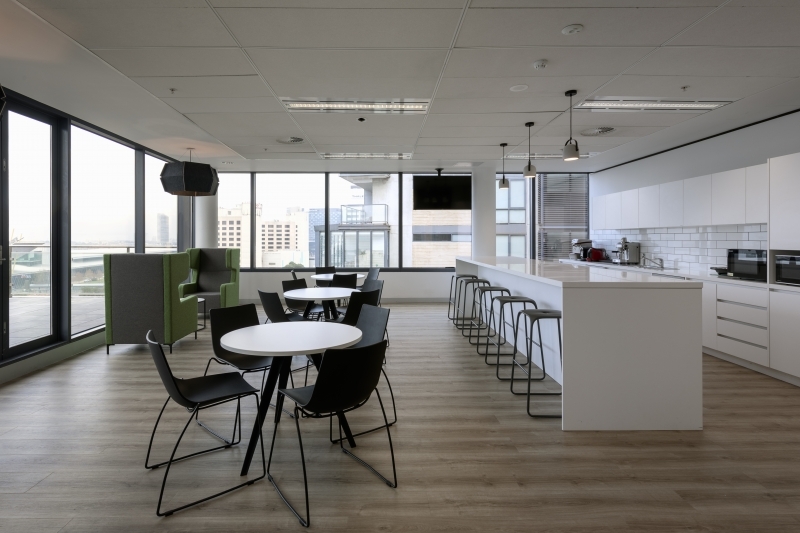 Unique curved architecture provided a design challenge, with strategic planning required to minimise the lack of wasted office space in Sequoia’s new commercial fitout, resulting in an organic feel following the buildings natural lines. 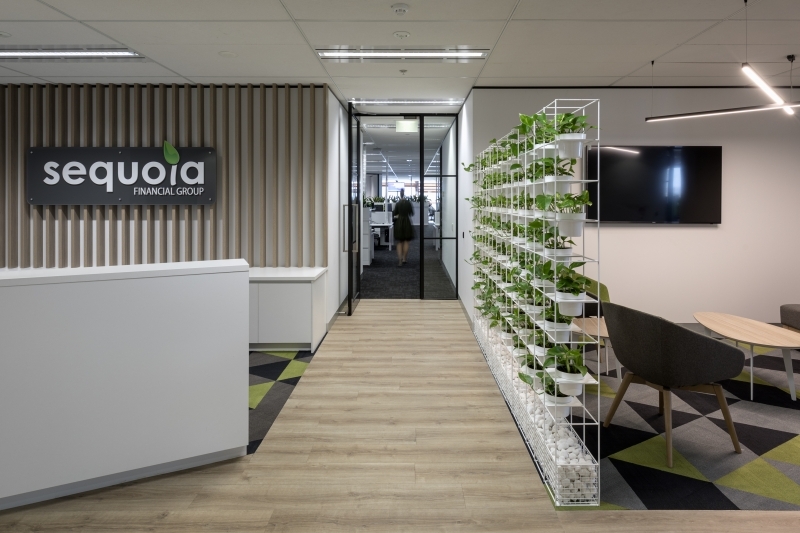 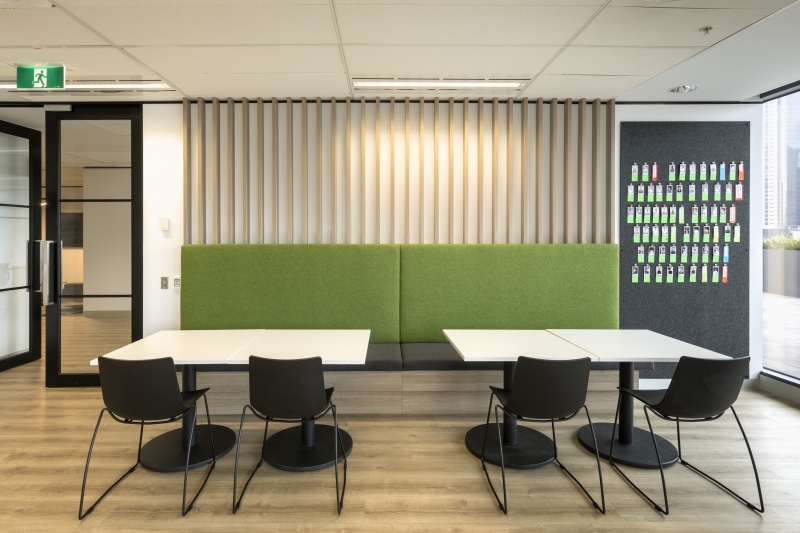 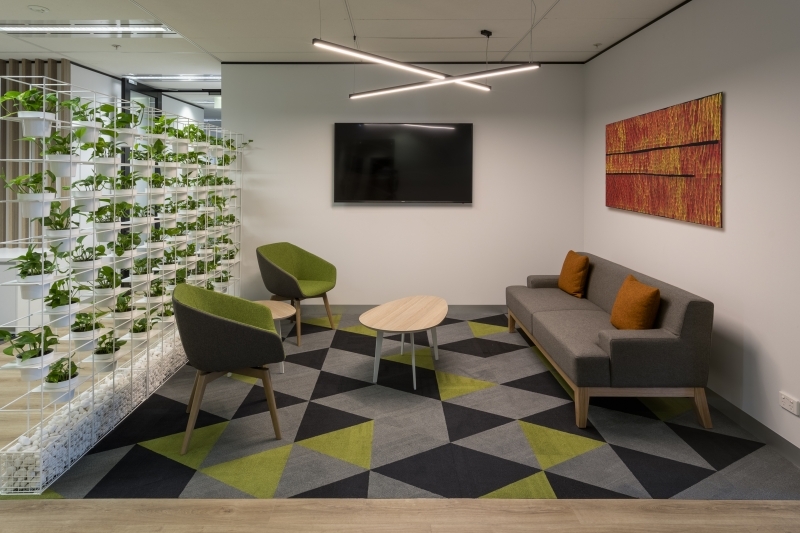 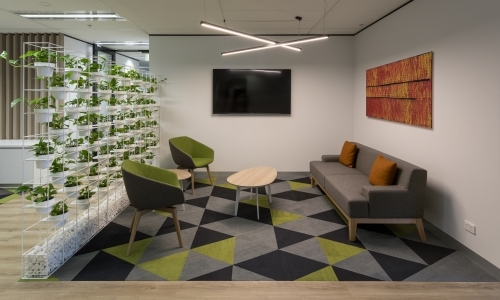 A feature Grid Garden Wall in the Reception/Waiting area symbolises the company’s growth and gives team members and visitors a sense of connection to nature, further contributing to the offices organic feel. 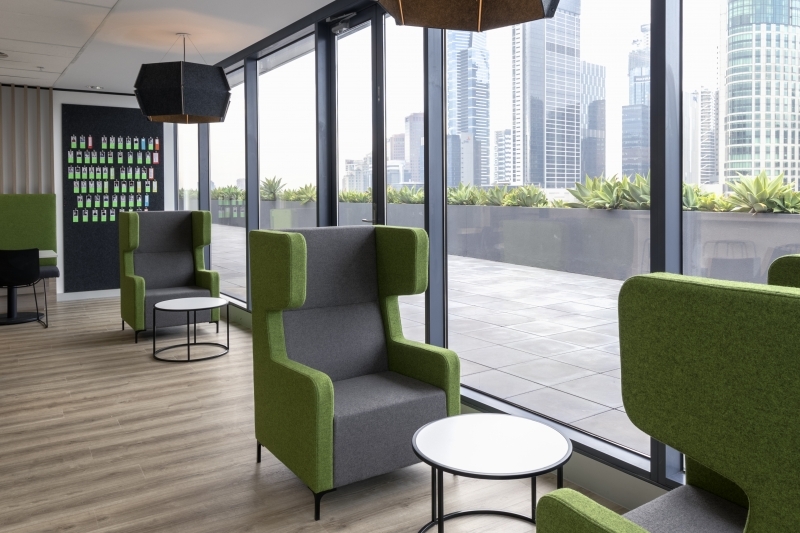 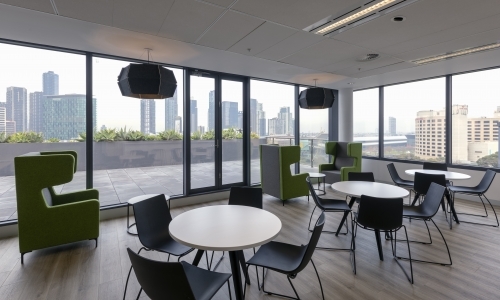 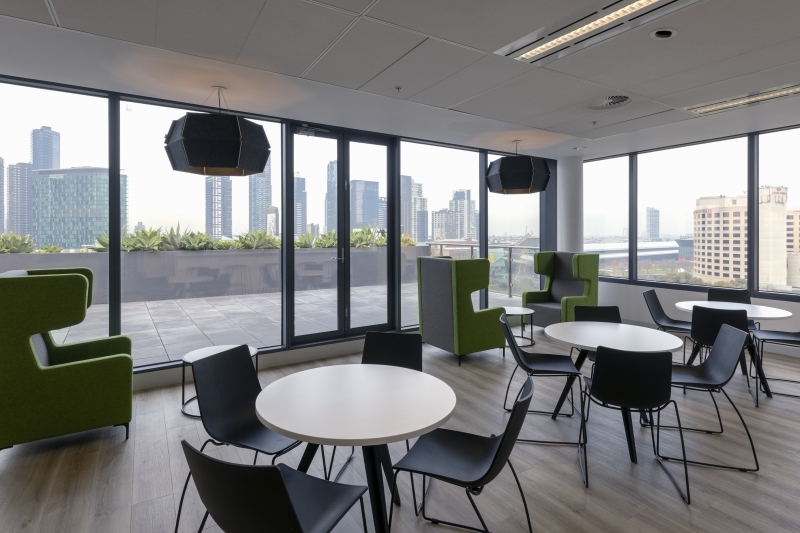 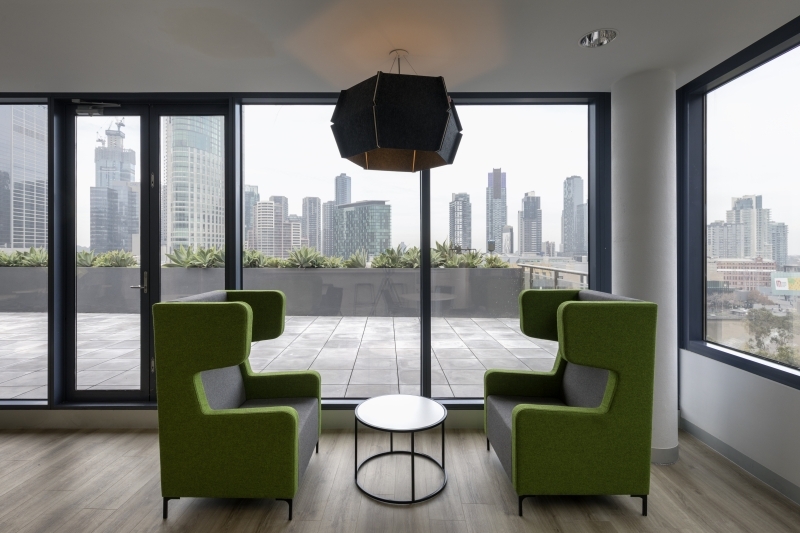 The company’s vision was to design a workplace that didn’t obstruct the view, while giving every team member an equal share of the spectacular city outlook.